Looking to re roof your home? Choosing to re roof your home shouldn't be a difficult decision. Most roofs need to be replaced or re roofed due to a combination of factors. These factors usually are natural such as storms but can be caused by bad roofing jobs or just age. Materials break down over time. If you have an older home stop patching and replace your roof today. Do you need your roof repaired? Roof repairs can be as simple as a small patch or replacing several shingles. Roof damage causing the need for repair usually happens from severe storms and extreme weather conditions. Regular inspections can save your roof over time by making you aware of thee small repairs. Remember it's cheaper to fix small problems as they happen in the long run. Be Proactive! Schedule regular maintenance inspections. Roof Maintenance is the physical inspection of your roof. It determines the current condition, detects weaknesses and failures and identify any potential future problems. Early detection of leaks make it possible for the company to repair and extend the life of a roof system, which is significantly less expensive and time time-consuming Re-Roofing. When was the last time you had your roof inspected? Inspecting your roof can save you dollars! Routine roof inspections are recommended for all home owners. Schedule your inspection today. Complete this form to request a quote | A representative from Husong Roofing Service will respond within 24 hours. 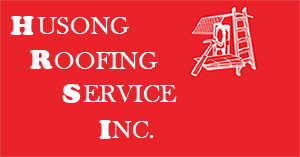 Thank you for contacting Husong Roofing Service, a representative will contact you shortly.